Have you been wanting to try crochet plaid but it looks too intimiding? Or maybe you tried it but the increases and decreases were frustrating. I hear you. And it may have taken me two years (face palm) but I have created a course that will fix all your worries and frustrations. 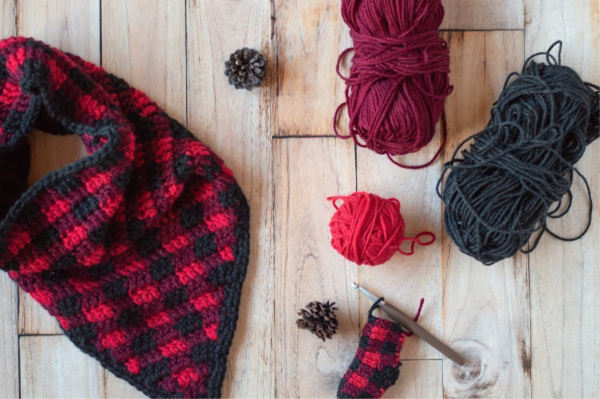 The Plaid Course will take your Holiday Gift list to the next level when you finally learn crochet plaid! Two winters ago, I had a small idea. I had the idea to alternate colors to make a plaid-look hat. I realized that black + red makes a pretty burgundy color if you really squint your eyes a bit. Maybe this was a new cool way (and simple way) to do crochet hats! Well, I’ll tell you, I was absolutely floored at the reaction my humble crochet plaid hat received. It gave me some ideas. Some really awesome ideas. Of course the world needs a crochet plaid scarf, some plaid decor, some plaid for baby and kids and plaid everything. This lead to my first Plaid Week, which was such a big hit that I did it again in 2017. However, I chose to ignore the timid voices saying “That is way above my skill level” or “I wish I could do that, but it looks way to complicated”. Still others were scared off saying “That looks so cool, but way too many ends for me!” or “I am intimated to try working with more than one color”. So I owe you an apology. A big one. 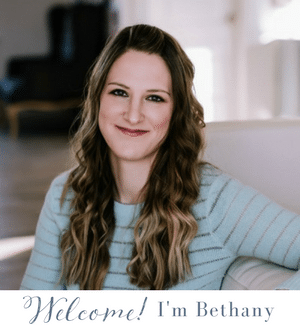 What kind of crochet designer and instructor am I if I don’t provide the instructions you need to feel comfortable making my plaid crochet patterns? Not a good one. So I aim to change that. This week I am launching the first course in the newly founded Whistle and Ivy Crochet School: Learn Crochet Plaid. 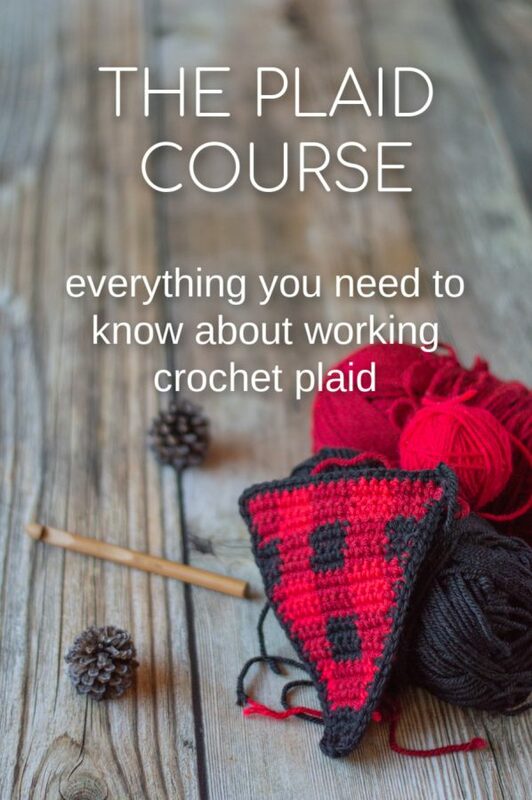 This course includes all you need to know to feel comfortable working all my past and future plaid patterns. The course includes basics for those who haven’t tried plaid yet, and other techniques like increases and decreases for those of you who are comfortable with making a plaid hat, but the tree skirt from last year gave you pause. The course also includes 3 FULL crochet plaid project tutorials: Included are my Triangle Plaid Cowl, which I know was a struggle for many of you during Plaid Week 2016. I am also including one of the patterns that will be released during Plaid Week 2018, and I know hope you are going to love it. 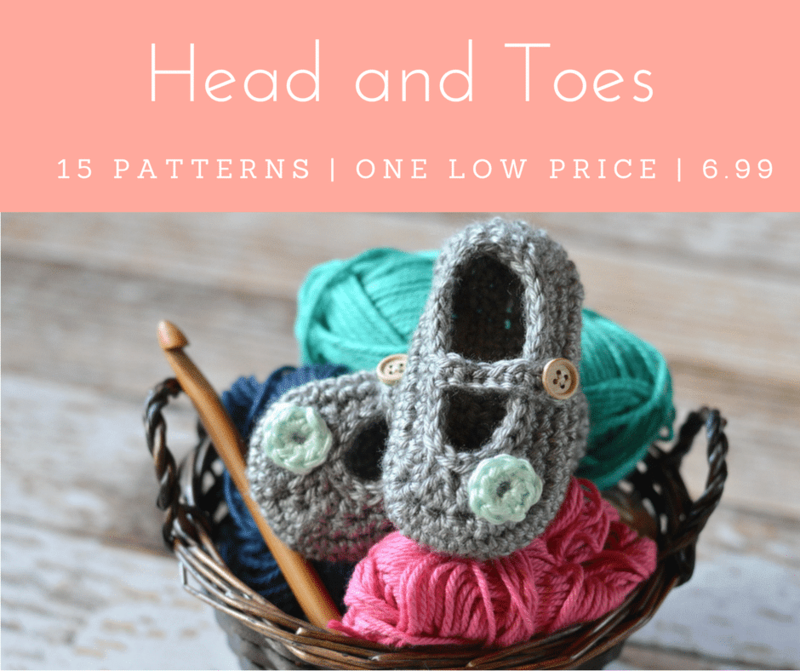 Head over to The Learn Crochet Plaid course page, it’s available NOW! Thank you. I was very intimidated last year. Still feeling the same way this year but just might give it a try. PlaidTrSkr isn’t working and I am within the time frame specified in the email. Well, yes, I did say that in my note. PlaidTrSkrt doesn’t work. You said “PlaidTrSkr” which is short a T at the end. Did you use the whole code when you tried? What did ravelry say when you tried it? I used copy and paste, directly from the email. I won’t be trying it again. I’m sorry! I am trying to troubleshoot with you to see why the code wouldn’t have worked for you. Sorry for the frustration! Thank you I want to learn this technique. You’re welcome! I hope you enjoy the course! Thank you. So excited to try the tree skirt. I want to make 2 plaid afghans for Christmas. Thank you so much! Can’t wait to try it!! I am so excited to try this out!! I absolutely love you and all your cute crochet stuff!!! So many thanks. I will try it soon. all I can say is “thank God I found your page and YOU ARE AWESOME!!!!!!!. yay! I am glad you found me too! I am taking your plaid course! I bought the 2 previous sets and just sort of chicken out when I attempt to get started. But I love your plaid items so much and here is my chance. I am taking it! Thank you so much! I am excited to have you as a student! Thank you so much! I get the plaid pattern. It’s a really beautiful gift. Very kind. I got ur plaid tree skirt pattern and am looking forward to making it. Doubt I will be able to take ur course, but willing to give the pattern a try. I have loved all ur other patterns. Thank u for this free pattern. I hope you like it, you are welcome! How big is the finished tree skirt? I didn’t see a size. Thanks! Thanks for the skirt pattern, this will be an absolute first for me :) looks like I will be off to grab ‘really’ red, red and black yarn today, and I have the beanie pattern – I should have enough time to make this between our now Spring and Winter next year lol as well as the Triangle cowl to work on. Might be a busy lady with the hook and yarn. You are welcome! Haha, being busy with a hook and yarn sounds like the best kind of busy to me! You are so welcome Dee! Thanks for your kind words! Anxious to try this…first time I have seen it and it really looks cool….tried the pooling but just couldn’t seem to get it right….hope this goes better. Thanks for sharing with us. Thank you so much. Plaid crocheting is on my crochet bucket list for the fall!! Is your course coming up a paid course – if so how much. I have been a fan for some time and would love to get better at the plaid designs. I just finished a tree skirt for my son and his family using a block stitch (or one of the stitches that is called the block stitch) so hopefully they don’t see this or I may have to make them one of these too…lol. I could not get the plaid tree skirt pdf for free. Is there a code? I’m so excited to learn how to do the plaid! Thanks! Yes, the code is in the post. I love anything plaid – thanks for the free pattern. Thank you! I hope you enjoy it! Are you in Utah too? OH good catch! Thank you for letting me know!